The landscape and nature within the Scottish Borders can be quite breathtaking. You really have to see it to believe it. Of course, there are other reasons to visit this region. The colourful, or should we say, bloody history of the region is one of them. 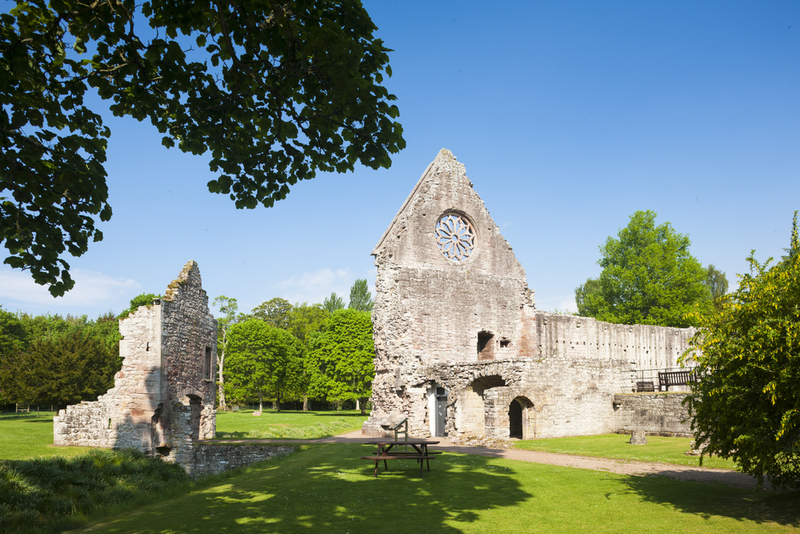 You will find a lot of ruins and battlefields that stand as testimonies to the tumultuous past of Scotland. While it may seem like a gory history for most people, there is beauty in it as well. It shows us the ugly truth about history and how far everything has come from then. It seems like a sad reality to accept – how so much bloodshed and violence happened in such a remarkable and breathtaking place. Looking around the Scottish Borders will make you realize just how beautiful the earth can be and how sad it is that it had to witness the uglier side of the human race. But then again, enjoying the beautiful landscape and nature of the Scottish Borders will always be one of the best reasons about the region. Regardless of its past, there is a sense of peace and tranquility in the air that you will never miss. 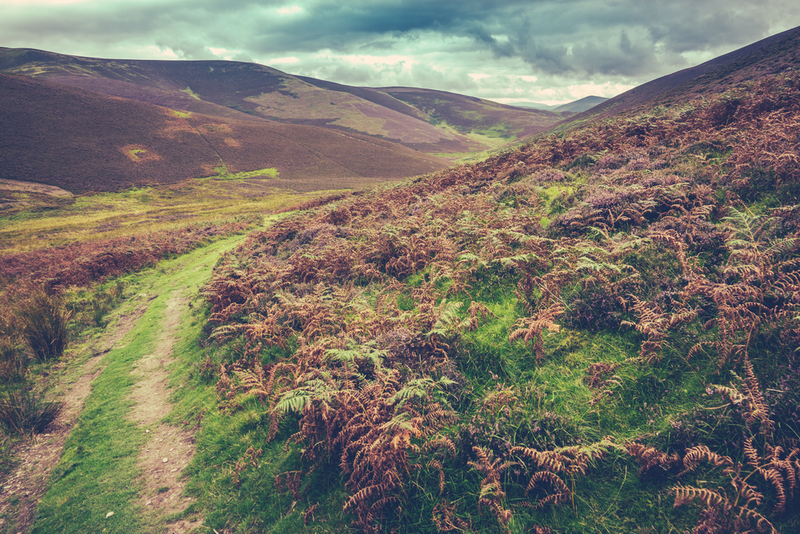 Also known as the Borders, this region covers the boundary of the Lothians to the north and stretches all the way to the Cheviot Hills to the south. In between, you will find some of the most beautiful sights in all of Scotland. What is interesting about the landscape and nature of the Scottish Borders is the fact that it varies as you travel from one place to the other. If you travel to the western part of the Scottish Borders, you will see rolling hills and the beautiful St. Marys Loch. The latter is perceived to be one of the most beautiful lochs in all of Scotland. You will find it very relaxing to gaze out into the waters to see the beautiful surrounding beyond it. On the central part of the region, you will find a more rural setting. Here you will enjoy the countryside of Scotland. You can meet the locals and enjoy their company as you take in their simple yet enriching way of life. 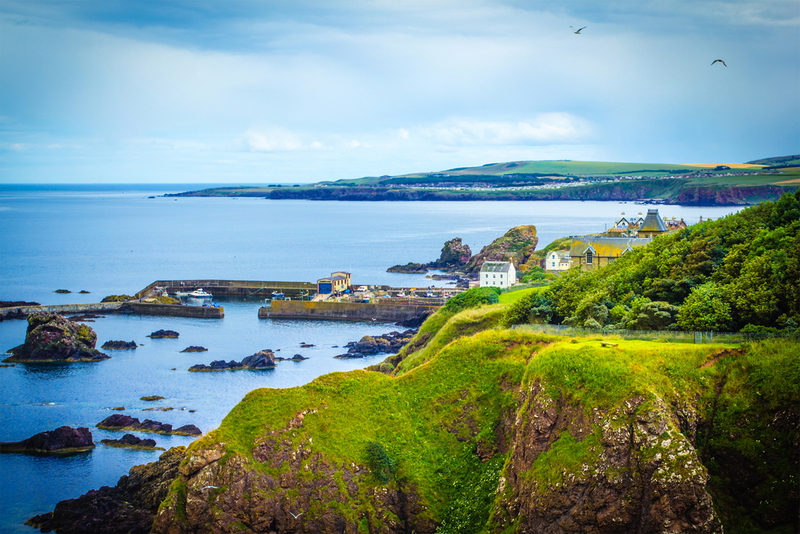 Towards the east of the Scottish Borders lie the seaside village known as St Abbs. You will also find the fishing village of Cove. The wide expanse of water will give you a sense of adventure and will open opportunities for you to explore the coast of Scotland. Finally, to the south of the Scottish Borders, you will find the River Tweed. While it crosses from Tweed’s Well in the south-east and flows east towards the North Sea, this river is more prominent in the southern part of the region. If you follow the river bank, you will see the lovely villages of Melrose, Peebles, and Innerleithen. If you really want to enjoy the landscape and nature of the Scottish Borders, you need to know where to visit. Here are some of the places that you can go to for a spectacular view of the natural beauty of Scotland. This is a rugged cliff that was formed after several volcanic eruptions. It is considered a National Nature Reserve. The craggy coastal cliffs provide seabirds the best location and it gives bird spotters the perfect venue to observe them. If you want to experience the woodlands of Scotland, this is where you should go to. It is one of the main attractions in the Scottish Borders. There are many things that you can do to enjoy the landscape and nature of the forest. You can walk or cycle along a trail. You can even explore while riding a horse. There is a mystery surrounding what lies underwater but in this place, that is something that you can uncover. The centre has underwater cameras that will give you a glimpse of what lies beneath the waters. You can also go out into the walled garden to look at foxes, otters, pheasants, and badger deers. They all inhabit the grounds and are available for you viewing pleasure. As you can see, there are many venues in the Scottish Borders to help you enjoy the beautiful landscape and nature in this part of Scotland. You just have to decide what part of the landscape you want to see so you can decide where you want to go.